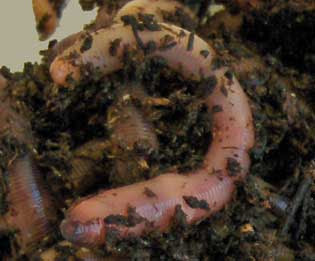 Once again, common mistakes in the Worm Farming Business:. Today's post concerns mistake #4: "Expanding too fast". Not to be confused with #2 "Over selling your worms". Here we're talking about expanding your customers base, particularly wholesalers, to the point that you're unable to fulfill your customer's orders and you're making everybody mad at you. Servicing too many wholesale customers can get you into trouble. It will be tempting in the beginning to take on anybody and everybody who wants to stock your worms for resale. Wholesale accounts are great, but the profit margin is less than retail. And generally this type of customer will buy larger quantities and more often than a retail customer, so you're worm stock will be stressed. With that in mind, if you commit to too many wholesalers, you run the risk of running out of worm stock. As we discussed in #2, if you deplete your worm stock too much, the breeding is slowed down and your future as a successful worm farmer is in jeopardy. When you upset a customer by not being able to fulfill his order for that large fishing party he expects this weekend, you most likely will loose him forever. He will look for worms somewhere else and may never call you again. Of course, it helps to get a contract up front when you agree to a wholesale account. That way, the customer is committed to buying so many worms from you for the year. However, if you fail to deliver, this contract is not going to stand up very well. Be realistic as to how many customers you can handle and when to take on more wholesale accounts. At first, it's really best to stick to retail sales. You'll get top price for selling fewer worms. Wait until you get a large inventory built up, see how fast you can get more worms up to sale size, and work out all the kinks before venturing into the wholesale part of worm marketing. Find more information on worm marketing details in my Worm Farm Manual: A Step-By-Step Guide to Raising Earthworms for Fun and Profit. 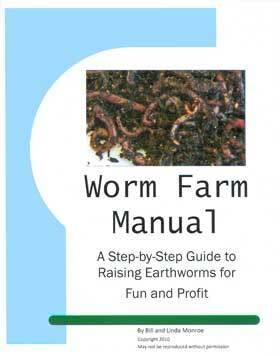 To discover other worm farming marketing secrets, click here. Today we'll discuss the common worm farming mistake: "Under selling, not expanding your market". Now, your head must be spinning if you've just finished reading the last post. "But...But... You just said not to over-sell my worms." I did. However, the converse is true as well. 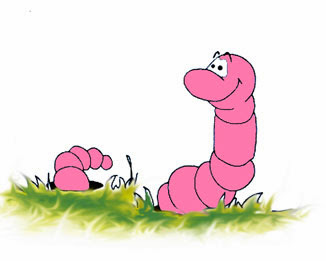 Many beginning worm farmers make the mistake of hanging onto their worms, growing them bigger and bigger, trying to get the fattest, best-est bait worm in the whole wide world. They keep them forever and ever until, at some point, they can no longer feed their families, much less their worms. If you hang onto your worms long enough, at some point, something can happen: The storm of the century blows down your shed and drowns your worms; a freak lighting storm causes a massive "worm crawl" and your entire worm population vanishes. A raiding band of ravenous raccoons wipe out your worms in one night of gluttony. Anything can and often happens. Don't hang onto your worms like you're growing them for the county fair. Of course, grow the fattest best bait worm you possible can (and there are some tricks.). And I'm not trying to scare you with gloom and doom. But, there's no sense in tempting fate. As soon as possible, start finding customers for your worms and start selling. You'll be moving inventory and making money. You're lucky and land that big bait shop down by the lake right off the bat. He buys all the worms you can grow every week. Why should you waste time looking for new customers? Why? I'll tell you why. Customers are fickle. Someone offers them a better price or they get mad at you for no-good reason and stop buying from you without a by-your-leave. Business is fickle. The lake dries up and nobody fishes there anymore. The shop sells or the owner goes out of business. I repeat: Anything can and often happens. Don't put all your eggs in one basket. Don't put all your worms in one bait shop. Things change, nothing stays the same. By avoiding dependence on one or two very good customers at the expense of multiple smaller worm markets, you run the risk of loosing your income source. Yes, you can always find new customers if you lose that one good one, but it may take some time. In the meantime, you're not selling and your not making any money. Diversify. Find different worm markets, multiple smaller customers, a few mid-sized, a big one or two. Some worm markets are active in different seasons, some go all year. A steady supply of customers throughout the year will be very comforting. If you should lose a customer, the others will carry you through until you can replace him. Always focus on marketing, never let up. That way you'll be more successful and more able to survive any bumps in the road.